The Anoka County Composite Squadron had a unique Blue Moon in August. The unit was the recipient of a Backyard BBQ from KSTP-TV Channel 5 (ABC-MInneapolis) on Aug 2. KSTP asked communities to submit why their community should have a Backyard BBQ. They received over 500 submissions. The Anoka County Composite Squadron was one of 7 selected for this promotion. On Aug 2, KSTP aired part of their 4:30pm, 5pm and 6pm newscasts live from the Anoka squadron building with sports anchor Joe Schmit. They provided barbecue fixin’s as part of this promotion and Anoka members and families contributed in a potluck to make this a hugely successful event with over 100 attendees. The main video segment is on the anokacap.com main page. Here’s the link to the KSTP photo gallery. 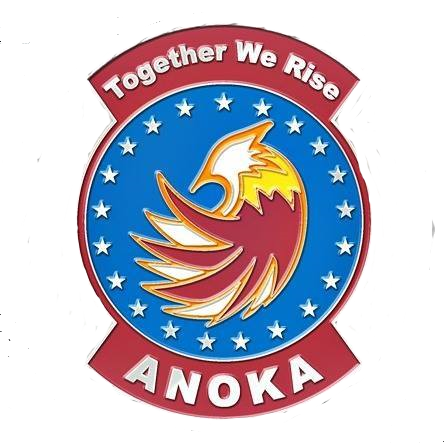 If any Anoka CAP members took photos, please submit them for inclusion in a photo gallery here. Jill Dahlstrom, Michael Uden and Ellen Quist – Thanks for arriving early for set up and helping with parking. Mark Cocchiarella – Thanks for painting the squadron building letters on the front of the building. They look amazing! Wendy Cocchiarella and Jen Parenteau – Thanks for managing the meat serving line. Tony Rossini – Thanks for getting the extra burgers and bringing a CAP plane over for the event. So appreciated! Tony Rossini and Joe Gmitter – Thanks for bringing your grills to make this bbq happen. Mark and Cally Jacobson – Thanks for bringing the volleyball net. That was fabulous. Eliana Cocchiarella, Blake Mattick, Matt Gerard and others – Thanks for the impromptu band performance! All our pushup contest participants – You all were fantastic. Mark Jacobson, Jill Dahlstrom, David Mansheffer, Alexandr Dergachev – Thanks for being on the final clean up squad. Thank you again to everyone. We hope you had a great time.